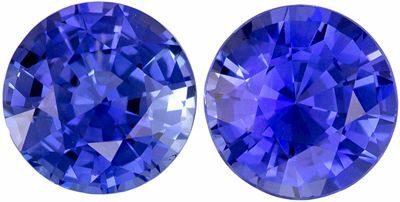 The most common and obvious uses for a pair of matched round blue sapphire gemstones are stud earrings and side gems for a ring. However, you can get very creative with a pair of matched gemstones and design unique and one-of-a-kind jewelry creations. 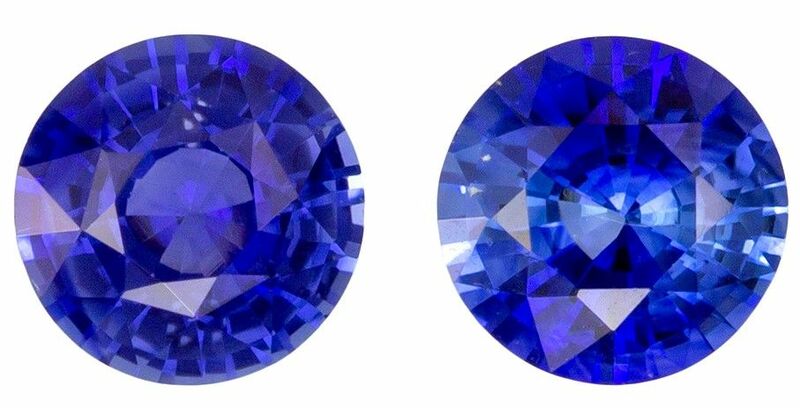 At AfricaGems we offer an incredible variety of blue sapphire matched gemstone pairs ranging in carat weight from close to 1 carat to over 3.5 carats, and ranging in color from lighter cornflower blues to deeply saturated royal blues. We also have options of heated and unheated blue sapphire gems. AfricaGems is the trusted online source for genuine gemstones and every gemstone comes with a certificate of authenticity as well as full disclosure and transparency concerning treatments and origin. We also offer a flexible payment plan and a generous 30 day return policy. With FREE Shipping on all domestic orders, AfricaGems is the best place to shop for all of your loose gemstones. 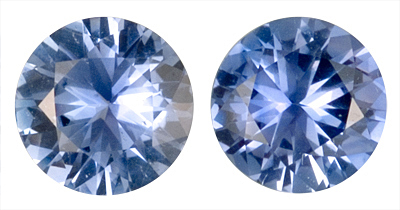 Find the perfect pair of round shape Blue Sapphire Matched Gemstones at AfricaGems. 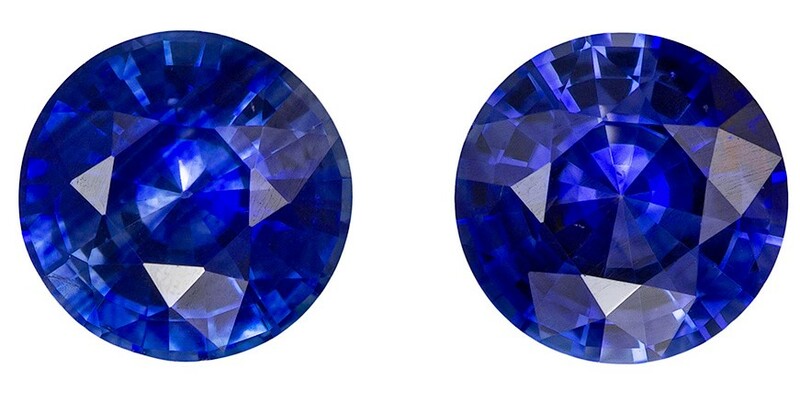 How Do You Take Care of a Blue Sapphire Gemstone?